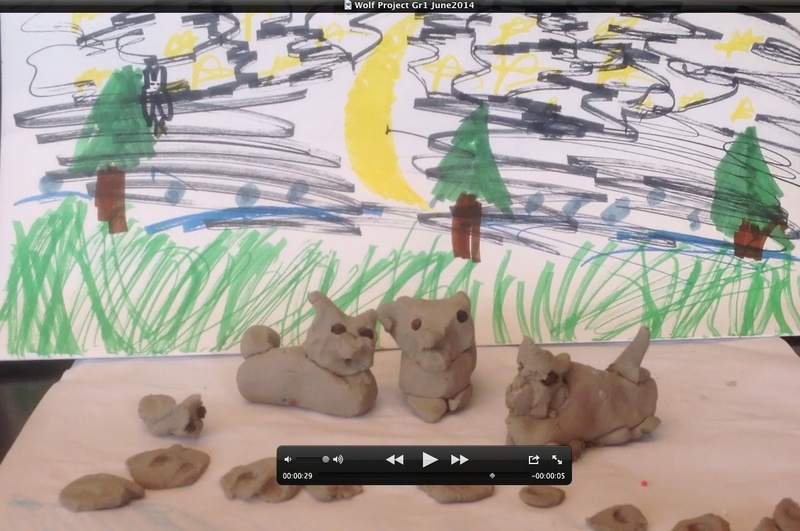 Learning how to do stop animation with my little one. This may be a possible tool introduced in my volunteering proposal. I have decided to take the summer off from the pursuit of my Master in Educational Technology. It is only a brief hiatus, in order to pursue some personal learning projects. The formal learning year and work does not leave much time for personal pursuits and I need balance. Balance for me, seemingly, only happens in large chucks of time: I do nothing for myself when work proposals and budgets call or when HE assignments are due. This summer, I am blocking out time for learning and reflection that I have pushed to the side for too long. I am looking forward to the next 11 – 13 weeks of my self-directed learning. However, to be honest, it is also with some trepidation that I make my plans public. What if I don’t accomplish the goals I set for myself? Informal self-directed learning means I am accountable to myself, however a public declaration does put some pressure on fulling the stated goals (for the handful of readers that come across this blog). Devise an organization system/Investigate tools to organize my formal learning and research. My research, links and writing are spread across so many devices and applications that I am forgetting where my assets are (let alone the IDs and passwords across platforms). I need a process that will work to keep me efficient and effective. Write a book review. This year I have appreciated the well written book review. Reviewers helpfully point me to details I might find interesting and yet provide a broad enough overview to alert me to the books’ relevance. I would like go through the deep thinking process of how I might capture the essence of a book that might be helpful for potential readers. Filter/sort/interpret the survey data that was collected as part of our #oldsmoop writing process. The collaborative writing process with the #oldsmoop team was a highlight in my learning life. I would like to follow up this process and further my own learning in research methods with an analysis of the survey data. Develop a proposal for my child’s school for a ‘tech’ club. I would love to volunteer at my child’s school and since my interests are already in the edtech area, I feel that this volunteering opportunity might be mutually beneficial. Complete a presentation for the Adult Learning Day, a pre-learning event for the TESOL Conference in March 2015. I am flattered to have been asked to submit a session on alternative professional development. Conduct a literature review on an area of interest to me and my colleagues at work. I will work on this collaboratively with a colleague to inform our practice. Update my blog. I feel this will ‘keep me honest’ and at least pull me back to focus on my goals and reflect on my practice. Bend/stretch/flex my body. I have been hunched over the computer until wee hours of the morning, intensely, for the past year. I need to move and give myself a break. Oh, just writing out this list is invigorating. Looking forward to the next few weeks!